The philosopher of post-Fascism enters the populism fray with his own candidate for post-truth – Left betrayal. Czech. 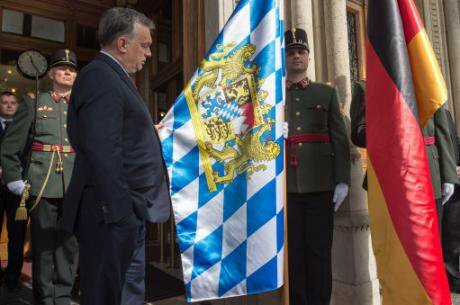 Hungarian Prime Minister Orban looking at the Bavarian and the Hungarian flag in front of the parliament building in Budapest, Hungary, March 2016. Peter Kneffel DPA/Press Association. All rights reserved.There is nothing new in consecrated terms being used in an entirely novel sense without announcing the change, and thereby misleading readers. It happens every day. It is no surprise if, being unable to explain a new phenomenon, people give it a resounding name instead of a theory or at least a description. This is what is happening with ‘populism’ or ‘right populism’ – or even ‘left populism’ – words used to depict states of affairs old as the hills at the same time as surprisingly new ones. ‘Populism’ has become a synonym of ‘I don’t understand it, but I was asked to talk about it’. Take the example of Hungary. The prime minister, Viktor Orbán is called the ‘right populist’ par excellence. What does he do? After some hesitant but repellent experimentation with a totalitarian-style mobilization he later wisely abandoned, he and his régime invent a technique whereby corruption, in the legal sense, is avoided, but state assets are used nevertheless to enrich the friends and retainers of the ruling family. The leadership is not bribed by outsiders, nor is theft committed: companies, lands, buildings, profitable entreprises, rents and, especially, money from European funds are simply donated to courtiers and flunkeys and to their bogus firms. State functions are outsourced to the leader’s allies (but still controlled by him, informally), private companies nationalized and then re-privatized to such allies. Tenders offered for catering to national and regional needs are invariably won by the same people and the same pro-Orbán and sub-Orbán companies. State banks are offering credits to these companies to buy up previously independent media. State banks are offering credits to these companies to buy up previously independent media. All public institutions are treated as the personal property of the leader. From elementary school headmasters to village post office chiefs to directorships at funny dolls collections to university chairs to police captaincies every public official or anybody who is asked to do something for the community must belong to the governing Right in one capacity or another. The prime minister’s office is moved into the former royal palace and the National Gallery and the National Library are thrown out from the building to make place for him and his personal state administration which is more and more distinct from, and placed over, government proper. (And local, more exactly, regional, government has all but disappeared. There is nothing between central government and the local boss or headman in the village.) State institutions such as the National Heritage Office are suppressed and taken over by shadowy private outfits with some financial and professional interest in the matter, invariably connected to the supra-government. As in the times of patrimonial kingdoms, the property of the Crown is not divided by a clear line from the personal property of the head of state. It is used in a discretionary, arbitrary and peremptory manner by the supreme power in the land. The beneficiaries of this system are organized into a tightly knit order or ‘corporation’ in the old sense, who are supplanting the formal state and are shaping the latter’s laws and constitutional norms. This is an ingenious old-new form of a flexible and non-murderous dictatorship, but why is it ‘populist’? Ethnicist demagoguery is not particularly populist, as it is and was practiced by various élites in the past who were vehemently and, sometimes, violently opposed to the popular classes, such as authoritarian military dictatorships. The routine of making occasional concessions to the masses in the form of wage rises, alms, tax reforms are also universal procedures, and nobody would call Prince Otto von Bismarck and Emperors Wilhelm I and II ‘populist’. Is there any régime that has not blamed The Foreigner for the ills that befell the country it has dominated? This is the way of the Pyramids. Was the Pharaoh a ‘populist’? And look at Donald Trump, the arch-populist menace. Of his being a menace there is no doubt. But ‘populist’? He proposes to alleviate unemployment by building roads and bridges. This is the way of the Pyramids. Was the Pharaoh a ‘populist’? Levying punitive taxes on foreign traders is an ancient custom. Were the Doges of Venice or the stadhouders of the Netherlands, the Dukes of Burgundy, ‘populists’? In 1935, Karl Mannheim, in his Man and Society in an Age of Reconstruction, established that there is a cyclical rhythm to economic policies from free-trade eras to periods of protectionism. (A similar logic was discovered by Karl Polanyi in his theory of the ‘double movement’ in The Great Transformation, 1944.) Sharpened competition is driving prices down which will force employers to reduce real wages, prolong working hours and enforce a stricter work discipline together with repressive labour legislation – but especially to save money by developing technology and downsizing the workforce. Mass unemployment will be detrimental to competitive demand, and so on. Sooner or later, the leaders of the capitalist states will have to take measures if they wish to forestall crisis, and the method is mainly to limit competition somewhat. Protectionism limits competition in two respects: first, it moderates the competition between capitalists by excluding some competitors, mostly ‘foreign’ ones and forcing the state, that is, the taxpayer to shoulder the burden of some redistributive tasks the market can no longer look after. And, second, by reducing the competition between workers. Competition between workers is particularly dangerous for the stability of a bourgeois state. When jobs are scarce, a potent workers’ movement has, in the past, asked for the state to nationalize, to restructure, to regulate and, typically, to pay unemployment benefit of one sort or another and to enlarge the state welfare systems and to invest in new projects (e. g., railways, roads, social housing) in need of new employees, to delay (by education) the age at which people enter the workforce, to lower the retirement age together with other expensive expedients. Another such expedient regularly advocated by the ruling classes was war or colonial conquest or both which created new demand and depleted the surplus populations. Both were deemed destabilizing and barbarous. 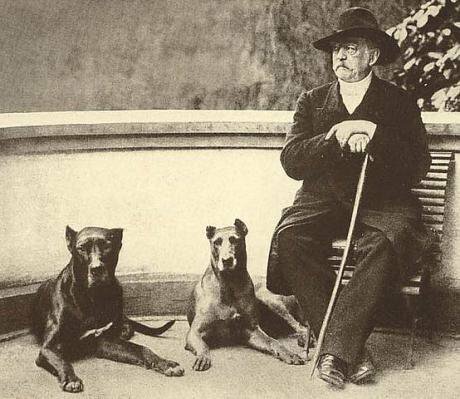 Otto von Bismarck and his dogs, 1891. Wikicommons/ Immanuel Giel. Some rights reserved.A combination of some of these elements was to create some welfare systems but exclude part of their beneficiaries on various grounds or, at least, offer up some beneficiaries as objects of hatred, counterbalancing the generous impulse inherent in redistributive and egalitarian state regulation. Welfare for ‘hard-working’ (read: white) men only, exclusion of ‘spongers’ and ‘welfare queens’ (read: the coloured or the foreign or the female, such as the dread ‘single mothers’ in the orchestrated scare of the 1980s and 1990s) has sometimes successfully replaced the politics of class struggle with ethnic strife and cross-class, race and gender (white male) alliances and coalitions. What is relatively new, is the combination of anti-welfarism with business protectionism. A contemporary variation on these themes has been deployed by the Trump campaign where the forgotten, the left-behind white working class plays a symbolic rôle in the usual anti-welfarist conservative slandering of the unemployed with the traditional bogeyman of the black criminal. What is relatively new, is the combination of anti-welfarism with business protectionism with public works promised to increase employment. Protectionism usually went hand in hand with welfarism (even the fascist version with its ethnic and nativist limitations; but this is not true of all fascisms: Mussolini was a free trader and budget balancer), but now it doesn’t. Here the immigrant will synthesize the features of this new reactionary politics. 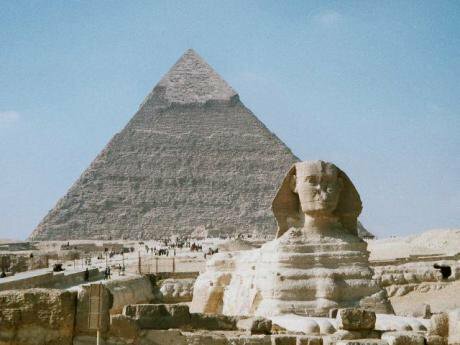 The Pyramid of Khafre and the Great Sphinx of Giza on the Giza Plateau, Cairo, Egypt.Wikicommons/ Hajor. Some rights reserved. ‘Commercial wars’ against, say, China and a frank enmity towards the European Union – against the foreigner – is now concomitant with a struggle against a competing workers’ group, the immigrants. By saving the native working populations from cheap foreign competition and saving domestic capital from the hardships of the global market (this latter is barely possible, if at all) it is hoped to create a cross-class coalition between the haves and the have-nots on an ethnic and cultural basis, a coalition which might be sufficient to win elections but which won’t long survive the hard-working ‘little man’ having noticed that he has been stiffed. Except, of course, if the Trump régime and similar governments descend into straightforward fascism... But what we see for the moment is more chaos than goose-stepping; although the ill-mannered ill-will is there, together with the crazies who would congregate in the neigbourhood of such a leadership in any situation of this kind. The ill-mannered ill-will is there, together with the crazies who would congregate in the neigbourhood of such a leadership in any situation of this kind. Again, nothing really new. Protectionism, isolationism, nativism have been colours and nuances of American politics for a long time. But it has never been the case that the disadvantaged have not been offered anything of substance – after all, that is what should be at the centre of any populist politics. In ‘populist’ Hungary there is no unemployment benefit, no dole, at all. But it would be quite unprecedented if the distinguishing mark of the élites were to be their egalitarianism, that is, their ideological and political closeness to the disadvantaged. The fake anti-élitism of today (and this may be the origin of this mind-boggling verbiage about ‘populism’ that clearly doesn’t exist) is directed at the egalitarians, especially at that odd species we might call ‘liberal egalitarians’ some of whom are just modest social democrats. The fake anti-élitism of today is directed at the egalitarians. This was made possible by the propensity of the ‘liberal egalitarians’ with their human rights rhetoric to defend and to protect with the greatest force minorities who are at the receiving end of capitalist inequality and of state repression, race and gender minorities particularly and, internationally, nations and other populations fallen victim to horrible tyrannies. Even among those defeated in the class struggle, they would emphasize the unemployed and people who are not covered, let alone appreciated, by the various systems of social assistance. In other words, ‘egalitarian liberals’ tried to represent those who suffer most from the lack or misapplication of distributive justice in bourgeois society without, of course, wanting to subvert said society – they are not, after all, communists. They are not representing the ‘deserving poor’ only, but also the troublesome, obnoxious, exhausting poor, the mad, the recalcitrant, the angry, and even those who don’t speak English. They are obviously also in favour of trade unions and fair wages – but this is not what seems dangerous to neo-conservatives of both the free-trading-globalist and the protectionist-isolationist ilk. What is believed to be truly intolerable is the spread of egalitarian culture: manners, habits of speech, convictions, beliefs, solidarities, sympathies and the like. What is believed to be truly intolerable is the spread of egalitarian culture. This is why so-called political correctness is so hated, even in east European and South Asian countries where it was never in use. The demise of ‘political correctness’ is experienced as liberation by the Right, our world being freed from hypocrisy and from imposed artificiality – after all, contempt for women, for gays, for persons of colour, for foreigners, for people in poor health etc. is natural – they say – so an egalitarian reform of grammar and usage is euphemistic: it gives utopian names to realities ‘we’ (the real people) know and admire as being impressive, that is, scary and horrible. One shouldn’t speak of ‘partners’ while ‘we’ know that the man is boss and the wife obeys. Withdrawal of recognition from inequality is presented – again! – as something both impious and unreal. Also, using ‘euphemisms’ instead of changing social realities is a sign of weakness, therefore despicable like every weakness. Studying the social, cultural and political constructions of ‘gender’ means – or the Right is pretending that it means for it – the withdrawal of recognition from the distinction of the sexes. Another sign of remoteness from what modern reactionaries mean by ‘nature’, that is, predetermined power relationships. Rank and force are already features of the animal kingdom and, for example, female submission is a fact of life among vertebrates. Apart from these sort of ‘social Darwinist’ or eugenic ideologies of inequality between races and genders (sorry, ‘sexes’) traditionalism plays a part, too. Giulio Evola – an inspiration not only for Steve Bannon, US President Trump’s strategic adviser, but also for the Hungarian Jobbik party, very much in love with the differential metaphysical calling of different castes or ‘orders’ (Stände) – is the saint of ‘traditionalism’. Equality means only the mixing of castes where everybody in modernity becomes a Chandala, that is, a person without Varna, without caste, in other words: an untouchable, an unlovely synonym for anybody on the Left. Another Trump adviser, one Sebastian Gorka, a fellow Hungarian of mine, proudly sports the knightly title ‘vitéz’, a new ‘nobility’ created and endowed by the erstwhile Regent, Imperial and Royal Rear Admiral von Horthy (ruled 1919-1944) and now just a club of far-right crazies bestowing aristocratic titles on one another, who are staunch believers in hierarchy, blue blood and Aryan brotherhood. 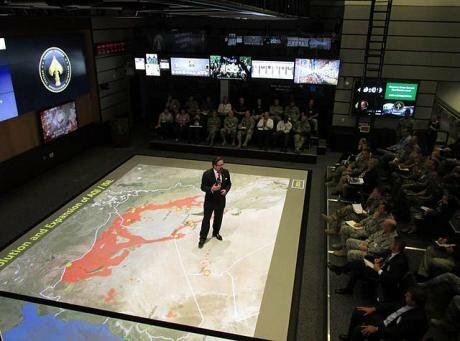 Dr. Sebastian Gorka briefing at SOCOM Wargame Center,2015.Wikicommons/Sk-gorka.Some rights reserved.Protectionism, autarky, conspiracy theories, phoney aristocratism, racial contempt, white supremacism, misogyny, hatred of science, invention of imaginary enemies – all this has absolutely nothing to do with populism by any stretch of the imagination. Speaking of imaginary enemies: the term ‘cultural Marxists’ in America – which closely parallels Goebbels’s ‘Kulturbolschewismus’ – mirrors, again, ideas to be found among representatives of the east European extreme Right where hatred of the Frankfurt School – and its rather tenuous links, through the late work of Jürgen Habermas, with the so-called European ‘idea’, another old reactionary, but non-ethnicist concoction – unlike the perusal of their books, is endemic, too. It is almost moving to hear Breitbart alumni accusing Adorno – would you believe it? – of all people, of poisoning western youth with rock music. Precisely Adorno, for whom even Igor Stravinsky’s music was kitsch and who despised jazz which appears élitist and rarefied today and whom I do not suspect of having ever heard rock music. Still, Adorno being on the Left, is accused of being a lover of lower-class music (he was the exact opposite of this, of course) and the ‘populist’ Right considers popular music the opium of the rabble. It would be quite interesting to discover why people do use this term, ‘populism’ for the breakthrough of this rather old-fashioned, very traditional Right (so thirties…) – and even more interesting to know why some are tarring a few versions of the Left with the same brush. According to that nice and invariably true French saying, whoever says that there is no real difference between Left and Right, is of the Right. (‘Ni droite, ni gauche’ was a fascist slogan and the Nazis announced in the Horst-Wessel-Lied that ‘Kam’raden, die Rotfront und Reaktion erschossen’, that they’ve shot the communist Red Front and the conservatives. Again: what is new?) Whoever says that there is no real difference between Left and Right, is of the Right. The fact that people on the Left are making cowardly compromises is no news either. Yes, you hear people like Jeremy Corbyn or Sahra Wagenknecht (the top candidate of Die Linke in the coming elections, former secretary of the Kommunistische Plattform still monitored officially by the special services) or the Socialist chancellor of Austria, Christian Kern or quondam French leftist leaders now making anti-immigrant speeches. But this is betrayal, not ‘populism’. True populists may have uttered idiocies, but certainly on behalf of the common people, of the majority, of the profanum vulgus, of the great unwashed and of what you will. Nothing could be more bourgeois than nationalism, but the nationalist cry for ‘unity’ appealed to the imagination of those democrats who wanted to fund an egalitarian community based on a shared cultural heritage (by no means a silly idea). Populism very often was nothing more than democratic nationalism – something that does not exist nowadays. (See my ‘Ethnicism After Nationalism: The Roots of the European Right’, Socialist Register 2016.) 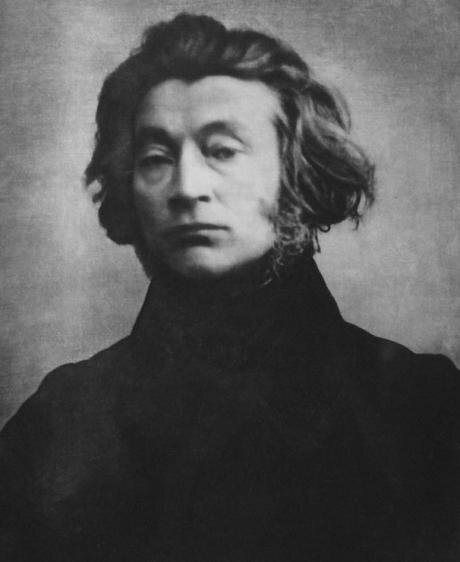 Nationalism was a sort of Messianic self-affirmation, for example that of imaginary Poland, ‘the Christ of nations’ (Adam Mickiewicz, 1832) struggling for liberation against the three great empires of the nineteenth century: Russia, Germany and Austria. Calling racism and ethnicism ‘nationalism’ or ‘populism’ does not help. No one is justified in erasing the difference between oppression and emancipation – the Russian narodniki, the Populists were fighting heroically for the emancipation of the serfs, after all – this is why we ought to stop this nonsense. No one is justified in erasing the difference between oppression and emancipation. This is not to say that there is no great chaos in politics. 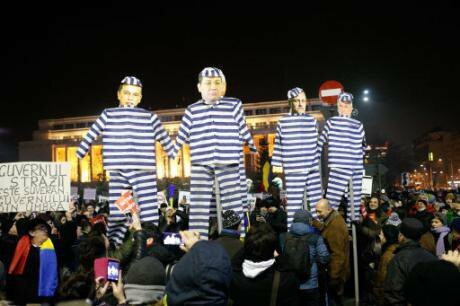 Take the example of the anti-corruption demonstrations in Romania – so much celebrated by the western and central European press. I shall not recount the story, more or less known to everybody, how the governing, allegedly ‘social democratic’ PSD party in a Nacht-und-Nebel-Aktion passed a law which, among other things, would have excused corrupt politicians, and how gigantic demonstrations forced them to withdraw. There is absolutely no doubt that the PSD politicians are corrupt, nationalist and conservative (like their opponents), in spite of quite a few welfarist measures, and that huge shadowy networks linked to them are sucking out tax revenue from the state coffers in a country that, for all its undeniable economic success, is still very poor and unequal. But the conflict in Romania is not between nice civil libertarians and nasty, thieving, anti-democratic nationalists, but something else altogether. It is the protest of a caste: young, educated, middle-class, urban, pro-European and pro-western, sweet-smelling, well dressed, with a withering contempt for the country bumpkins, the old-age pensioners, the ‘post-Stalinist’ workers – youngsters calling themselves and being called by the adoring media ‘the beautiful people’. The trouble is that the protests are clearly authoritarian, calling for punishment. The trouble is that the protests are clearly authoritarian, calling for punishment, prison, expulsion for the political adversary and are also clearly situated in favour of one party in the power conflict: president Klaus Johannis, plus the special prosecutor’s office bringing files into court put together by the proportionally largest secret service anywhere (30,444 collaborators, larger than the German service and twice the size of Ceauşescu’s infamous Securitate) that seems to have taken over the entire state and large chunks of the media. It is like under the Austrian version of enlightened absolutism: modernity and development are linked not to the public sphere and not to political deliberation, but to the secret state, unaccountable and impenetrable. Several thousand protest on Victory square in front of the Romanian government headquarters against proposals to ease anti-graft legislation,February, 2017. NurPhoto SIPA USA /Press Association. Some rights reserved.This is the kind of modernization – together with the demand of a severe punitive justice and of purges – that ‘the beautiful people’ want with a ‘rule of law’ which does not, in this case, imply popular participation, political pluralism and an autonomous Öffentlichkeit, only ‘transparency’: the transparency of the Panopticon, where everybody is watched and kept morally sound by the round-the-clock gaze of the spy. And like everywhere in eastern Europe, paranoias abound: the hidebound nationalists suspect the symbol George Soros (‘the Jew’) of being behind everything, while according to ‘the beautiful people’, it is the symbol Vladimir Putin (‘the Communist’) who is the ghost in this machine. While class conflict and its cultural expression is at the basis of the confrontation – the élite’s uprising against The People, and not vice versa – exploited and oppressed classes are everywhere turning against other oppressed people: nowadays mostly against the refugees or against minorities or gays or even against the young pro-western middle class who are not themselves the exploiters, but the dupes and the unwitting agents of the exploiters. Their xenophobia, however, is only an opinion (unpleasant to be sure, yet still only an opinion). But the refugees are turned back by the great capitalist states. While the European press thunders against Donald Trump, the kind German government and its liberal allies are doing exactly what he so far just talks about. The European frontier police, Frontex is already more brutal with refugees than its US counterpart is intended to be. Viktor Orbán’s fence of shame at the Serbian border is now guarded by the Austrian army also, the army of a neutral country that has just elected itself an impeccable Green-liberal president, lovely, friendly Herr Van der Bellen. (By the way, the Hungarian law that gives police powers to the army, unprecedented in peacetime, has now been emulated by the Austrian powers-that-be.) Meanwhile, the decision of the socialist-led Austrian government to reward those entrepreneurs willing to employ more people, has recently been amended – by the social democrats! – so that employing immigrants would not count; a few days ago, the home secretary in Vienna proposed a bill according to which ‘anti-state activity’ and ‘non-recognition of the state authority of the Republic of Austria’ will merit two years in prison. It has a nice Stalinist sound to it, does it not? Class conflict and its cultural expression is at the basis of the confrontation – the élite’s uprising against The People, and not vice versa. The Right is winning everywhere, the Left is being betrayed everywhere, and people are quarrelling about silly definitions. The reactionary counter-revolution using (but not helping) the traditional proletariat and the lower middle class against the underclass, against the precariat – especially if it is ‘ethnic’ – and against the immigrant, creating a cross-class political alliance never seen since the days of colonial conquest, is destroying the Left. The turning of the most important Anglophone countries (Britain and the US) against the European Union might parallel the break-up of the League of Nations which ends the longest peace on the European continent – the Yugoslav and Ukrainian conflicts being classified as skirmishes – and the peril of disorder or of conflagration usually stops progress, particularly towards greater liberty and co-operation. Socialist treason is not new, either. As everybody knows, European socialists (infinitely stronger than today) capitulated in the summer of 1914 to the forces of imperialism and joined the ‘war effort’ by voting for the war credits and by mobilising the notionally ‘internationalist’ working class. Intellectuals of Jewish origin like Henri Bergson, Max Scheler, Georg Simmel, supposed to be cosmopolitan and wary of the anti-Semitic imperialist-nationalist forces, were writing pæans about rebirth by battle and about their ‘host’ nation’s superlative virtues. Anarcho-syndicalists – previously radical pacifists – marched to the right, many becoming fascists later, with one ending up a minister in Pétain’s and Laval’s collaborationist, criminal government during the second world war. The socialist idea was to prevent war by an international general strike. But instead, ethnicity defeated class, and the investment of the working class in the welfare state and in colonialism was continued in the hope of social dividends, with the results we know. Let’s call things by their rightful names. Let’s call things by their rightful names. Giving in to racism and xenophobia instead of dealing with the seemingly intractable problem of millions becoming ‘superfluous populations’ because of technological development (digitalization, robotization, automation) and of financial crisis and of the retrenchment of global demand; putting up fences to stop these millions trying to escape starvation and war instead of spreading the benefits universally; making deals with tyrants such as Erdogan, Modi or al-Sisi; being silent about the predicament of groups like the Rohingya; becoming more and more similar to the enemy – this is what the official Left are doing, and the name for this is treason. It isn’t true that there is no difference between Left and Right, but it is true that the Left is disappearing fast, like it did in 1914. This article benefited from the insights of Veronica Lazăr but she is not, of course, responsible for anything that I have written here.